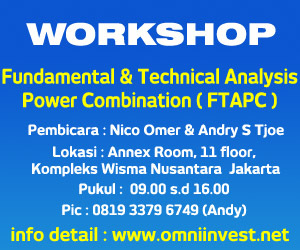 Nico Omer » Apakah Emerging Markets Rentan Terhadap Fed Tightening? Home > Pasar Internasional	> Apakah Emerging Markets Rentan Terhadap Fed Tightening? Apakah Emerging Markets Rentan Terhadap Fed Tightening? Mungkin memang belum di AS, namun konsekwensi tidak langsung dari tindakan the Fed tersebut sudah terjadi di negara-negara lain. Aksi sell off di emerging markets (pasar negara-negara berkembang) menjadi isu besar tahun 2014 ini, dan meskipun sentimen mulai membaik, hal yang terburuk belumlah datang. Untuk menahan pelemahan mata uangnya atas dolar AS, banyak negara-negara berkembang yang harus menopang nilai tukar mereka masing-masing. Bahkan, mereka juga terpaksa menaikkan suku bunga untuk menahan outflow maupun inflasi, meskipun GDP kuartalan turun. Nothing matters to anybody until it matters to everybody, namun jika demikian maka bukankah itu terlambat? Di saat bank sentral dunia perlu menyajikan sebuah front bersatu, justru terpaksa ‘pecah’ karena tapering oleh bank sentral AS menyedot arus modal dari negara-negara berkembang yang kondisinya jelek. Dan mereka adalah “the Fragile Five”, yang terdiri dari Turki, Brasil, India, Afrika Selatan dan Indonesia. Negara-negara itu teridentifikasi yang paling rentan terhadap dampak negatif dari penurunan investasi asing. Menurut saya tapering tidak hanya tightening, tapi juga kita hampir pasti melihat dari awal tema yang akan berkembang di tahun ini. Our warnings throughout last year that an unraveling of emerging markets (EM) was the final tweet of the canary in the coal mine have still not been taken on board. The ongoing EM debacle will be less contained than sub-prime ultimately proved to be. The simple fact is that US and global profits growth has now reached a tipping point and the unfolding EM crisis will push global profits and thereafter the global economy back into deep recession. Our thesis on how EM would be pushed to crisis was simple, especially as we saw close parallels with the 1997 Emerging Asia currency crisis. We saw yen weakness further undermining an already weak balance of payments situation in the emerging world as a direct replay of 1997. 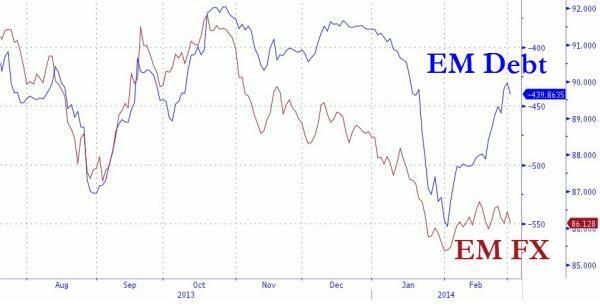 A strong dollar/weak yen environment is typically an incendiary combination for EM, and so it has proved once again. Having reached tipping point the yen will often rally strongly as it has now and as it did in May 1997. This may or may not delay the impending EM implosion for a few weeks. 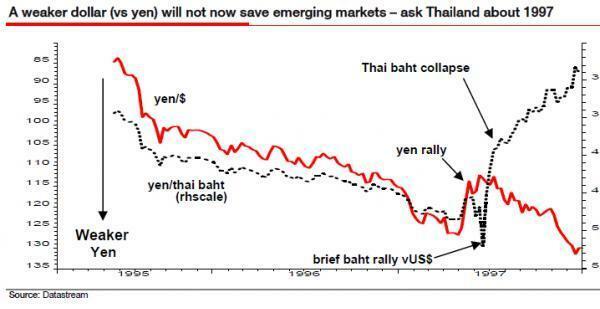 Indeed the Thai Baht, the first domino to fall in the Asian crisis, briefly rallied strongly (vs the US$) in early June 1997, reassuring investors just ahead of its ultimate collapse. There has never been any shadow of doubt in my mind that tapering = tightening, and I marvel that the Fed convinced anyone otherwise. A Fed tightening cycle inevitably plays a key role in triggering the next crisis (see below). Plus ca change, hey? 2014 Emerging Market collapse/deflation/recession/another banking collapse etc., etc.? Additionally, we have now made it all too clear that there is no such thing as a market anymore – there is a carry trade, manifested typically by the level of the USDJPY – which is the ultimate driver of all risk. It is this trade that Edwards warns will no longer work as it results directly in EM collapse, as can be seen most recently as the source of the EM crisis of 1997. But the inevitable has occurred and fundamentals have caught up with the markets as they always eventually do. The recent slide in US equity prices has been entirely consistent with the profits outlook Andrew has been flagging for some months (see chart below). The market has at last awoken from the dream it hoped would last forever – you must have had one of those dreams which you hope you can get back to if you fall asleep again quickly. The pungent smell of coffee has now overwhelmed the hallucinatory vapors contained in QE. Commodities snapped out of their trance some two years ago and could not find their way back into that same dream-like state. Now it is equities turn. The dire profits situation will only get worse as EM implodes and waves of deflation flow from Asia to overwhelm the fragile situation in the US and Europe. … the slump in the recent ISM data may be the “straw in the wind” of what is to come. Certainly the three-month change of the leading indicator has now turned down sharply – even before the recent ISM data has been incorporated. 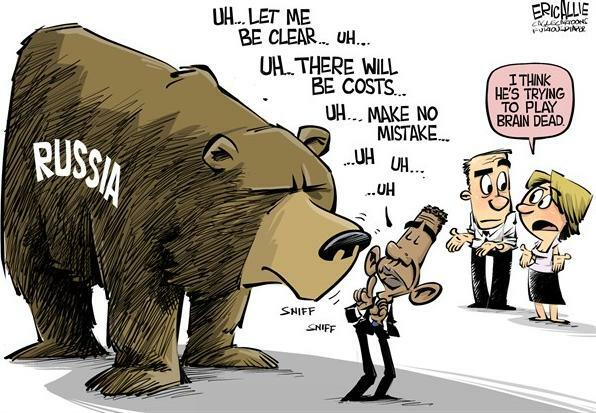 We watch the unfolding EM crisis with increasing trepidation because we know how this story ends. We have been here before. Pada 01 Maret 2014, James Gruber, penulis di media investasi mingguan “Asia Confidential,” membuat artikel yang masuk kategori WAJIB DIBACA mengenai cerita terkini drama yang terjadi di negara-negara berkembang. Financial headlines have rightly been dominated by the largest 7-day sell-off of the Chinese yuan on record. Everyone’s speculating whether it’s been a deliberate move by the People’s Bank of China (PBOC) or not. The consensus is that it’s been PBOC initiated to shake out carry trade speculators who’ve used low US interest rates to borrow low-yielding US dollars and buy the higher-yielding yuan and yuan-denominated assets. This before a move to increase the daily trading band for the yuan. A minority believe the yuan has unraveled of its own accord driven by a shortage of US dollars leading to the liquidation of yuan instruments. Either way, carry trades are being quickly unwound. Asia Confidential thinks the vast majority of commentary has missed the underlying reasons for emerging market currency volatility, with the yuan being the latest example. What we’re really witnessing is a major rebalancing of global economic trade. Prior to 2008, the US had a massive consumption bubble, financed by its current account deficit which exported U.S. dollars and fueled global trade. Since the crisis, US consumption has slowed but QE has stepped in to provide the U.S. dollar liquidity needed for world trade. With the tapering of QE, that dollar liquidity is diminishing. And emerging market currencies such as the yuan have to adjust to reflect real US demand. With or without PBOC intervention, that was bound to happen. The concern for emerging markets is that this isn’t just a currency issue. The carry trades and subsequent inflows of capital have created substantial credit and real estate bubbles in many of these markets. The unwinding of these bubbles is likely to lead to banking crises in several countries, including China and China proxies such as Hong Kong, Australia and perhaps Singapore. The hit to global economic activity will hurt inflated stock markets. As well as commodities, particularly the likes of iron ore and copper which have been widely used as collateral to finance trade/purchases in China. The winners out of all this are expected to include the US dollar, given less dollar liquidity means reduced supply vis-a-vis demand. And US Treasuries too due to the deflationary consequences of the economic re-balancing. For years, the yuan has been a one-way bet. Even during the emerging market currency turmoil of last year, the yuan escaped unscathed and outperformed. Moreover, it’s done so with minimal volatility given a tightly-controlled trading band. That band involves the PBOC setting a daily fixing rate against the dollar around which the onshore yuan is permitted to rise or fall 1% a day. Over the past week, things have changed rather dramatically. The PBOC guided the onshore currency weaker through higher fixes. The move caused consternation in some quarters. The one-way bet became two-way and many got burned. The PBOC hasn’t adequately explained the move and it’s left everyone to speculate about the ultimate reasons. Most are in little doubt that it’s been orchestrated by the central bank. The most common reason ascribed is that it’s a tactical move by the PBOC to introduce more yuan volatility before widening the trading band, a long-held aim of theirs. This could be right though it’s a clumsy way to go about it. Another explanation is that it could be a move to bring onshore and offshore rates together before the trading band increase. By way of background, the onshore rate is obviously that within China itself. The offshore rate is via Hong Kong, where the yuan is better known as the CNH and trades without restrictions imposed onshore by Chinese authorities. Two weeks ago, the spread between the CNH rate and onshore rate reached its widest since 2010. Some suggest this prodded the central bank into action. A third explanation has been put forward also. That the Chinese want a weaker currency to help its exporters and support the economy. This could well have validity and the authorities wouldn’t exactly advertise if this were the case. It’s dangerous though as it could lead to capital outflows and tighter credit, thereby accelerating the country’s economic slowdown. There’s an altogether different explanation though involving the yuan devaluation having nothing to do with Chinese authorities. The theory is that the yuan carry trade is unraveling of its own accord. Reduced US dollar liquidity triggered by QE tapering has resulted in reduced flows for the carry trade and the liquidation of yuan-related instruments. And that’s caused a surge in offshore CNH liquidity. It’s difficult to pinpoint where the truth lays. But we are more certain that this isn’t the end of yuan volatility as it isn’t just a China issue. And it isn’t just a carry trade issue. And it certainly isn’t just a QE tapering issue. It’s deeper than that and the threads go back to the global trade imbalances of pre-2008 and the policies since which have covered them up … until now. To better understand this, let’s step back for a moment. As everyone knows, the US dollar is the world’s reserve currency. Given this, the US has to run large trade deficits (where imports exceed exports) in order to export US dollars and lubricate global trade. Other nations need US dollars to conduct trade and build foreign exchange reserves which bolster their own currency and provide the asset base for the expansion of credit within their own country. The US had a massive consumption bubble prior to 2008. This was financed by its trade and current account deficit (trade is a large part of the current account). US consumption collapsed during the crisis and the current account deficit started to narrow. Then Bernanke stepped in with QE, which in effect financed US consumption and global trade. It prevented the pre-2008 economic imbalances from correcting. US deficits have continued to sharply decline due to the domestic energy boom (reducing the reliance on oil imports), cheap and more competitive labor given the more than decade declines in the US dollar and the end of the consumption boom. But QE1, 2 and 3 have filled the gap to finance global trade. And a reduction in foreign exchange reserves at the Fed is exactly what’s happening now. The good times were very good for emerging markets prior to mid-last year. Capital inflows led to currency appreciation which provided the liquidity for domestic investment and consumption booms. Since the 2008 financial crisis, emerging market foreign exchange reserves have increased by US$2.7 trillion, their monetary bases are up US$3.2 trillion and money supply (M2) has risen by US$14.9 trillion. Unsurprisingly, that’s fueled mammoth property booms. Hong Kong and Chinese residential real estate prices have doubled over the past five years, while Singapore’s are up 70%. 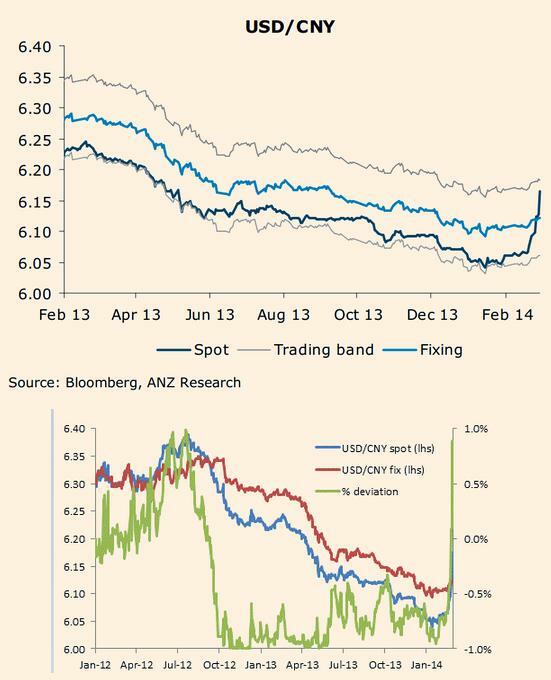 Carry trades have partly financed the asset booms. Bank of America Merrill Lynch estimates that emerging market external loan and bond issuance has increased by US$1.9 trillion since the third quarter of 2008. And the banks are at the heart of this and other financing. 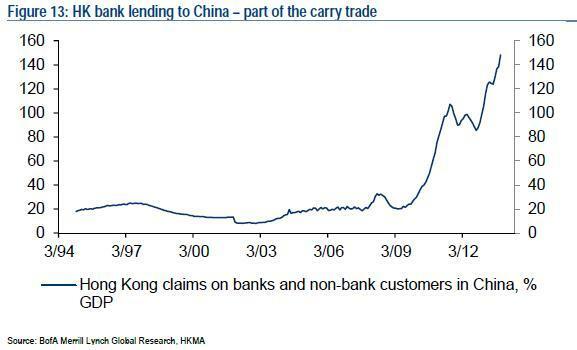 Thus, Hong Kong banks have been the go-to for the China carry trade. And their net lending to China itself has increased from 18% of Hong Kong GDP in 2007 to 148% now. QE is the trigger for an unwinding of all this. The weakest links, those countries with chronic current account deficits such as Turkey, have been hit first. 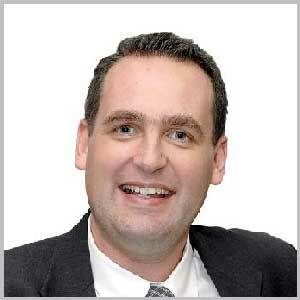 Asia Confidential believes the next in line will be the countries where the largest credit bubbles have occurred. And that’s where China comes into play. Those who insist that China doesn’t have a debt problem don’t get it. History shows that it isn’t the amount of debt, but the pace it’s gathered which matters when it comes to potential financial crises. With this, China is in a league of its own. Since 2008, Chinese total outstanding credit has more than doubled. Its banking assets having grown by US$14 trillion, or the equivalent of the entire US commercial banking sector. Credit growth in the years leading to the bursting of previous credit bubbles – such as the US pre-2008, Japan pre-1990 and South Korea pre-1997 – has been 40-50%. China’s credit growth has dwarfed this and it’s easy to see the dangers that represents. We believe the next phase of this crisis will be felt in the banking systems of several countries. China is the obvious one and that’s already begun (with defaults in trust funds). Hong Kong banks are among the most vulnerable outside of China. That’s not only because of the exposure to lending to the mainland. But overall bank assets now total around 800% of GDP. It doesn’t take a genius to work out the disproportionate impact that even a small percentage of those assets going bad would have on the city’s GDP. Australia and Singapore don’t have the same direct China lending exposure but the risks to their respective banking systems are high also. The Australian economy is highly dependent on Chinese commodity imports and the country’s big four banks have financed a monstrous property bubble off the back of the decade-long mining boom. Moreover, the Australian banks rely on short-term external financing as loan-to-deposit ratios are close to 120%. The Singapore banking sector is also at risk given its domestic credit boom which has seen bank assets increase to total 650% of the country’s GDP. Yes, Singaporean banks have large capital buffers but significant risk remains. There are a number of commentators, particularly out of the US, who suggest that the emerging market crisis won’t have any impact on developed market economies. They’re deluded. 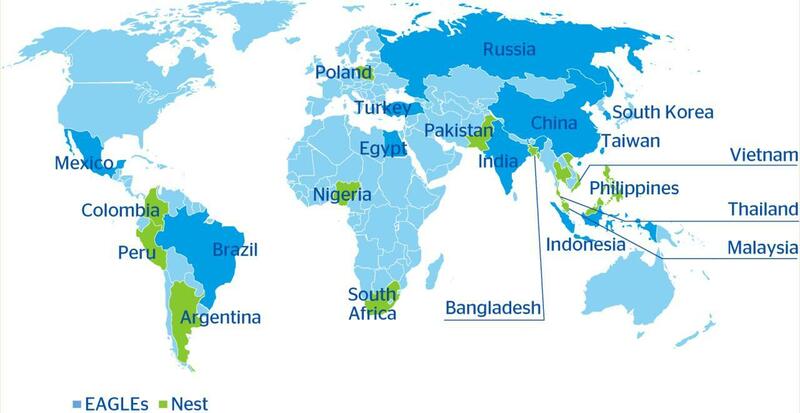 Emerging markets account for more than 50% of global GDP. Moreover, emerging markets ex-China represent a third of global imports. Including China, they account for 43% of imports. A slowdown in emerging markets will hurt their imports and therefore exporters in the developed world. In addition, the profits of many US and European companies depend on overseas markets, particularly in the developing world. For instance, more than 50% of S&P 500 profits are generated outside of the US. So the emerging market crisis will substantially impact global economic growth. And stock markets, particularly elevated ones such as the US, are most vulnerable. Commodities are likely to be hit too. China is the largest consumer of most commodities and a downturn there will reduce their previously insatiable consumption. Even precious metals may be impacted given the deflationary consequences of a China slowdown. Though bullish on gold, we suspect it may break key US$1,180/ounce levels and have a further lurch down before climbing again. As for the likely winners as the emerging market crisis deepens, Asia Confidential would put the US dollar at the top. The reason is that a reduction in the exporting of US dollars will result in less supply amid growing demand. This could well result in a sharp spike in the dollar. The fate of US treasury bonds is an interesting one. 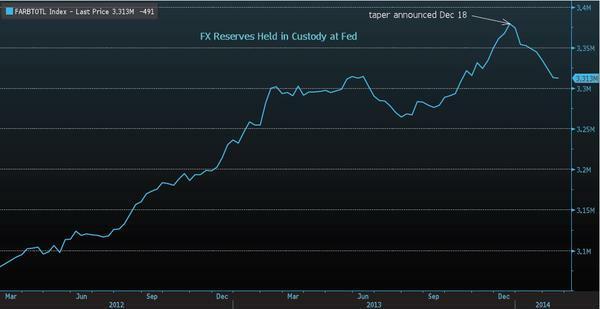 Declining foreign exchange reserves of emerging markets should mean reduced demand for treasuries. In theory, this should put pressure of bond prices. However, given accelerating deflationary forces, we’d suggest Europe and the US central bank will step in to plug the demand gap. “Any rebound will face the same ugly arithmetic. Ordinary households in too many countries have seen their share of total GDP plunge. Until it rebounds, the global imbalances will only remain in place, and without a global New Deal, the only alternative to weak demand will be soaring debt. Terakhir yang tak kalah penting adalah bahwa waktu dunia terakhir mengalami goncangan di emerging markets, posisi AS masih menjadi konsumen terbesar di dunia. Oleh karena itu perlambatan pertumbuhan di negara-negara berkembang (tidak hanya Asia, tapi juga Amerika Latin), meskipun diabaikan oleh mayoritas orang, mungkin akan lebih penting bagi kelanjutan pemulihan global daripada yang disebut-sebut media mainstream. A little later, the blind man asked the bartender where the bathroom was. The bartender replied, “Second door to the right.” The blind man headed for the bathroom, but accidentally tripped and entered the third door. This door led to the swimming pool and he fell in by accident. Apakah Eropa Akan Terperangkap dalam Deflasi? Emas: Sudah Saatnya Beli Atau… Waspada?